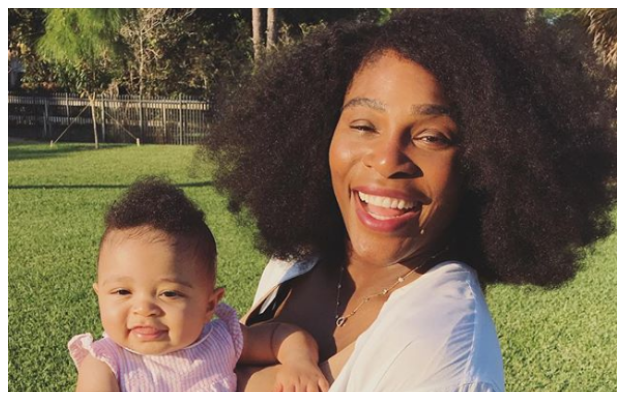 Serena says she hasn't spent a single day without baby Alexis since she was born and we totally get it – separation anxiety is real, mama! It’s what every new mom fears as their maternity leave ends and they have to go back to the real world. With a busy schedule and social life to revive, most parents would probably enjoy spending some time away from their child in order to mix with other adults. This is, however, not the case for Serena Williams, who confirmed that since the birth of her daughter Alexis Olympia in September 2017 – she has not spent a single day away from her. Despite her busy tennis schedule, Serena has remained a devoted mom to Alexis, who is her and Reddit founder husband, Alexis Ohanian's first child. While Serena may be reluctant to go a day without seeing her daughter, babies adapt pretty well to other caregivers, while it’s their parents who feel more anxiety about being separated than they do. As long as their needs are met, most babies younger than 6 months adjust easily to other people. Between four and seven months of age, babies have developed a sense of "object permanence”, which means they are aware that things and people exist even when they're out of sight. For 10-month-old Alexis, she’s at an age where she is growing into more independent toddler but is uncertain about being separated from a parent. This is when separation anxiety develops, and children may become agitated and upset when a parent tries to leave. To ease the process of separation between mother and child, Parent24 advises having a nanny shadow a mom during her regular daily routine with their baby. That way, the new caregiver gets exposed to how a mother would like for her child to be taken care off.